SIGCOMM continues to be a healthy and vibrant SIG. There are a number of highlights in the past year. 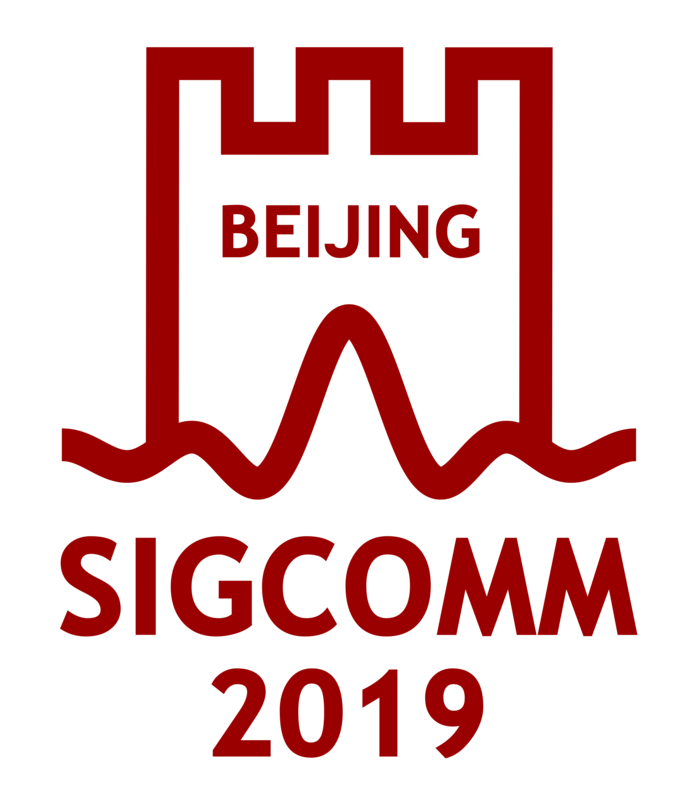 SIGCOMM held elections in June 2009, leading to the election of Bruce Davie as the new chair, and re-election of Henning Schulzrinne as Vice-Chair and Tilman Wolf as Secretary/Treasurer. There were no changes to the appointed members of the EC, but an effort was undertaken to fill the position of Education Director, which had been vacant for some time. After an open call, the position was filled by Olivier Bonaventure, who has been quick to start assembling a group of advisors and putting together web resources for educators teaching networking-related courses. The EC has received considerable feedback on the organization of the SIGCOMM conference in the last 2 years, and this prompted a series of discussions on how conference oversight may be improved. As a result, this year a new Technical Steering Committee (TSC) was created after extensive discussion with the community. The TSC has responsibility for selecting PC chairs, crafting policies related to the PC operation and technical program, and providing a repository of knowledge about the technical aspects of the conference. Administrative and fiscal responsibility for the conference continues to reside with the SIGCOMM EC. Six members have been appointed to the TSC, including three past PC chairs, and the TSC has selected PC chairs for the 2011 conference. The SIGCOMM newsletter, Computer Communications Review, continues to thrive as a journal with high quality and timely articles under S. Keshav's editorial guidance. An online submission and review system has been established, allowing authors and reviewers to interact with each other anonymously before a paper acceptance decision is made. This has substantially improved authors' perception of the review process and simultaneously improved the paper quality. Acceptance rates for the newsletter are around 20%, on par with top-tier conferences. Turnaround time is quite a lot better than many journals. SIGCOMM became an approved nominating organization for the Research Highlights section of CACM. We are asking PC chairs from all of our sponsored conferences to submit the most suitable papers for consideration, and at this point we have submitted two nominations to the CACM editors. With respect to awards, SIGCOMM has recognized Radia Perlman with the SIGCOMM award for lifetime achievement; she will receive the award and present a keynote talk at the annual SIGCOMM conference in August 2010 in New Delhi. SIGCOMM also has recognized Binbin Chen, Ziling Zhou, Yuda Zhao and Haifeng Yu from the National University of Singapore for the best paper in that conference, "Efficient Error Estimating Coding: Feasibility and Applications". Two "Test of Time" awards will also be given at the conference for the best papers with long-lasting impact from 10-12 years ago. Those papers are both from the SIGCOMM conference of 1999: Griffin, T. G. and Wilfong, G., "An analysis of BGP convergence properties" and Faloutsos, M., Faloutsos, P., and Faloutsos, C., "On power-law relationships of the Internet topology." SIGCOMM has also recognized Ratul Mahajan with its Rising Star award; he received his award and delivered a keynote address at the CoNEXT conference held in December 2009 in Rome. Further, four SIGCOMM members were recognized as ACM Fellows: Bruce Davie, Jeffrey A. Dean, Farnam Jahanian, and John Chi-Shing Lui. Five SIGCOMM members were made Distinguished Members of ACM: Mark Crovella, Richard P. Draves, Venkata N. Padmanabhan, Ramon C. Puigjaner and Prashant Shenoy. In the prior year, the SIG had decided to add its support to ACM-W's scholarship program, and the first recipient of this award, Mariyam Mirza from the University of Wisconsin, Madison, attended the 2009 SIGCOMM conference in Barcelona. SIGCOMM's support augments the ACM-W scholarship for any recipient who chooses to attend a SIGCOMM-sponsored or in-cooperation conference or workshop, covering full costs of travel, lodging, and conference registration. In addition, SIGCOMM helps find informal mentors for ACM-W award winners to interact with at the conference. SIGCOMM continues its geodiversity travel grants: for five years now we have awarded travel grants to support junior researchers from under-represented regions in attending the main SIGCOMM conference; this year, support was extended to selected authors at the Latin American Networking Conference (LANC 2009), enabling them to travel to New Delhi for the 2010 SIGCOMM conference. The SIG has also increased its financial support for student travel grants to both the flagship conference and to CoNEXT. The CoNEXT conference is growing into a high-quality, general networking conference of comparable quality to the SIGCOMM conference. With a smaller audience than SIGCOMM, it can be a little more interactive, and has had successful panel sessions and student workshops. CoNEXT 2010 will be held in December in Philadelphia. We are planning an industry session at the conference as part of the SIG's efforts to improve the level of interaction among industrial and academic participants in our community. fostering journal publication as an alternative to the flagship conference. To the latter point, the SIG has committed to provide financial support to the IEEE/ACM Transactions on Networking to defray some of the page costs of longer papers. Finally, the SIGCOMM main conference continues to thrive. In keeping with ACM's mission of becoming a more truly global organization, we are holding our flagship conference outside North America two years out of three. After a successful 2009 edition in Barcelona, SIGCOMM 2010 will take place in New Delhi, India. SIGCOMM 2011 returns to North America, with Toronto being the host city.